The 10th day of the tenth (lunar) month was a cloudless day. Today was Lin Si Yao’s birthday and it was also the first sunny day after several gloomy days of autumn rain. Su Shuilian woke and was pleasantly surprised. “(Are you) that happy?” Lin Si Yao said and hugged her from behind. He nestled closer and placed his chin on her smooth back. “Of course; today is your birthday so yesterday I prayed and it has actually become a sunny day.” From his actions, Su Shuilian could not help but giggle. “So what if it’s my birthday?” He said with a face of disapproval. Ever since he could remember, he had always been an orphan. He was known as Xiao Yao and lived in Yun Luo Temple, a small rundown temple, for eight years. After the old abbot that he had depended on died, he decided to close down the temple and went down the mountain. He had previously gone down with the old abbot a few times for some errands, but had always thought it was just a bit more crowded and had more things, without any idea of how much harder it was to live there. He was beaten up by his co-workers and scolded by his employers. He had been cheated from, he had stolen, he had even begged. It went on until he was forced into exile to Gan Ming City, where he became an insignificant waiter in a tea house. He had thought his life would continue to be like that, until he reached the age of ten. Who knew that the person in charge of his fate was playing a trick on him. A year later, after his work was completed, he helped a customer get back his purse. It was then when an executive of one of the top three assassination organizations, the lord of Feng Yao Court had discovered him to have a good constitution. The lord immediately took him in and sent him to Black Tortoise Mountain where he was made a disciple to a daoist spiritual master. Three years past, no longer was he Xiao Yao, but ‘Si Ling’. ‘Si’ was the generic surname for every assassin in Feng Yao Court and ‘Ling’ meant leader. As the assassin ‘Si Ling’, in six years, from a no-name fledgling, he climbed up to be one of the top assassins of Jianghu. He became Feng Yao Court’s number one ‘killing god’. And so, he thought that he was going to spend the rest of his life like that. The tenth of the tenth month was his birthday, that was what the old abbot told him. However, who knew the truth? But on this day, the old abbot would always cook him a bowl of noodles with an egg for his birthday. Later, when he was in Feng Yao Court, as long as he completed all of his tasks, the kitchen would send him a bowl of longevity noodles. Every single year, the arrangements were unaltered. He knew that this was the kind regard of the old lord. This continued until a year and a half ago, when the previous Feng Yao Court’s owner had died. The inheritance process was simple as the previous lord only had one son, Feng Qingya. However, he was incomparable to the previous lord. The new lord feared that the charismatic Si Ling might steal his newly acquired post. And so, with his new position, Feng Qingya ordered him to come for a chat. Three cups of wine, toasts aiming to end his life. He had never expected that Feng Qingya, who he always had practice matches with and his other friends, would ever attempt to poison him with two types of odorless and tasteless poison. One of which was the bone-softening powder with which the victim would become completely weak within thirty minutes of consumption. The other was the scarlet dove poison, a toxic gas that aimed at the heart. These substances were considered to be the top toxins of Feng Yao Court. When Si Ling had discovered something was wrong, it was already too late as both poisons had invaded his body. He quickly closed his meridians and pretended to be fine as he retired himself. Once he exited the room, he extracted a part of the poison and fled out of Feng Yao Court. Feng Qingya had long prepared for this as he branded him as a wanted criminal and ordered all of the assassins of Feng Yao Court to kill him unconditionally. The reason given was the vengeance of the old master. And now, the assassin ‘Si Ling’ was proclaimed dead. The him now, was Lin Si Yao. He was just a farmer who had no relations with Feng Yao Court. Fate was just indescribable, wasn’t it? As Lin Si Yao thought of this point, he bitterly shook his head. In one year’s time, from being Feng Yao Court’s highest source of easy income to getting branded as a traitor – the murderer of the previous owner. Since he had owed the previous master a debt of gratitude, he would let this matter go. However, there would absolutely be no next time. “A Yao, are we really not going to bring Dabao with us?” Su Shuilian asked as she once again turned back to see the two wolf pups and the aggrieved looking Tian Dabao. “Didn’t you say you want to celebrate my birthday?” Lin Si Yao lightly frowned. “Yes, Xicui said that Wu Qin Restaurant’s longevity noodles are famous for its taste.” Su Shuilian nodded her head. In fact, she had actually wanted to make the longevity noodles herself. While Lin Si Yao was out training Tian Dabao in the forest, Su Shuilian attempted to make them. She had wanted to surprise him. However, a surprise to him ended up being hers: the dough noodles became a diluted batter. She didn’t want to just give up and decided to start over, only to discover that she had used up all the remaining wheat flour in the house. Sobs*, now it was impossible to make the longevity noodles… She could only make a large batch of Dough Drop Porridge for everyone’s breakfast. While they were eating, the wolf pups’ eyes showed pity for their master. Woowoowoo, master, it’s already a surprise that you can’t cook. However, since it was his birthday, Su Shuilian insisted on going to the city with him to buy more flour. Also, she decided to visit the “Wu Qin Restaurant” that Xicui had continuously talked about to celebrate Lin Si Yao’s birthday. “And that’s that, what’s the problem?” Lin Si Yao gave her a questioning glance. Didn’t she know that bringing children would be a troublesome thing? There would be one more mouth to feed, another pair of legs following along. And most importantly, if he wanted to make more intimate moves, there would be one more pair of eyes watching. In short, he, Lin Si Yao, would never allow a date to be disrupted because of a disciple. He had already been peeved a few times after accepting this disciple. Of course every time he had been annoyed was during his affectionate time with his very shy wife. When Lin Si Yao heard this, he chuckled and glanced at Su Shuilian. The way that she spoke to Tian Dabao was like talking to a baby nephew, even though she herself was only three years older than him. If Tian Dabao wasn’t mentally impaired, he would have never accepted him as a disciple. With a twelve-year-old disciple and a fifteen-year-old Shi Niang, he was not assured. Not because he did not believe in Su Shuilian, but he didn’t trust Tian Dabao, an almost grown man. “Hold on tight.” Making sure there was no one around, Lin Si Yao wrapped his arm around Su Shuilian’s waist and brought her close to his chest as she wrapped her arms around his neck. Using the Profound Thousand Step, after a few leaps, he was out of Tian Dabao’s sight. “Wow, Shifu is so cool.” Tian Dabao was no longer aggrieved, his emotions had took a turn with Lin Si Yao’s qigong. No, snap out of it! I have to get back to practice! Tian Dabao flattened his lips and clenched his fists before turning back at the Xiao Chun and Xiao Xiu who were guarding the front door and waved, “Out of the two, who wants to come train with me?” Master’s order: no matter what, the house always had to be guarded by one of the large dogs. The two wolf pups seemed to have understood him as they glanced at each other before the slightly smaller Xiao Xiu stepped forward. Since Xiao Chun had went out this morning with them, it seems it was her turn. Xiao Xiu was reluctant, but since going into the forest meant getting more delicious meat, she’ll put up with it. At once, the pair, one child and one wolf, quickly made their way down the winding path below Dashi Mountain, gradually becoming small dots. Xiao Chun who was left behind to guard the house averted his eyes from them and lowered his head. He laid down by the gates of their house to take a nap under the rare warm rays of the late autumn sun. “A Yao, other than the longevity noodles, is there anything else you want to try?” Sitting in a private room on the second floor of Wu Qin Restaurant, Su Shuilian happily asked Lin Si Yao while holding a thick menu. “Whatever you want.” Lin Si Yao poured hot tea that was just brought up by the waiter into Su Shuilian’s cup before pouring himself a cup. He was never picky. This was not because of his previous occupation as an assassin, but was because of this eight years living in Yun Luo Temple as well as his two years living alone fending on his own. As long as it could fill his stomach, it didn’t matter what he was eating. His nine years of being an assassin had allowed him to accumulate a lot of gold and silver, enough for him to even buy this whole city. However, he had sent some of this money to the mountain where Yun Luo Temple was for its maintenance. The remaining amount was hidden by him in a secret location for him to use once he retired. However that location was near the boundaries of Feng Yao Court. So the him now could not retrieve it, nor did he want to retrieve it. “But today is your birthday…” Su Shuilian had one hand on her chin while the other was flipping through the menu as she quietly muttered. “Anything you like to eat, I like too.” Lin Si Yao pondered for a bit before he said that to comfort her. Once he realised what he had said, he became a bit embarrassed. He immediately used his qi to push down the blush that had crept up to his ears. Hmm, since when did an assassin learn to sweet talk, and so easily too? When Su Shuilian heard this, her two cheeks flushed red, her heart fluttering as if it had consumed something sugary. Just at this moment, Wu Qin Restaurant’s waiter came knocking at the door to receive their orders. “Mr. Waiter, we’ll take your signature dishes and also a bowl of longevity noodles.” Su Shuilian read the menu multiple times and finally decided on ordering the restaurant’s signature dishes. These six signature dishes were as followed: Crispy Roasted Duck with Scallions, Rich(ly Stuffed) Chicken, Steamed Chinese Perch, Walnut Shrimp, Sauteed Squash, and Jasper Soup. “Ok! Because Madam ordered all six of our signature dishes, we will give a small gift, this is a birthday celebration correct?” The waiter joyfully noted down their order. “Yes, Mr Waiter, today is my husband’s birthday.” Su Shuilian placed the menu down as she smiled and replied. “Then this little one wishes the esteem guest a happy birthday. The dishes will be ready in a bit.” The waiter cupped his hands towards Lin Si Yao before he walked away after closing the curtains of the private room. The two quietly enjoyed their tea and spoke to each other from time to time. Because their room was right on by the main street outside, just looking out the window allows for a clear view to the busy street. “A Yao, after we eat, let’s go out and take a walk by the river. And before we go home, let’s also restock our supplies, is that ok?” Such good weather, it would be a shame not to enjoy it. “Ok.” Lin Si Yao nodded this head in reply. “Hm? Isn’t that the girl from last time?” Su Shuilian noticed across the street was Lu Wan’er who was admiring the jewelry in a shop. She was still just as charming and coquettish; all of the passing men would turn back around just to take a few more glimpses of her rare looks. “Don’t recognize her.” Lin Si Yao glanced up before resuming back to filling Su Shuilain’s cup with more tea. “Eh? You don’t recognize her? That… it was that day….” The girl who was chasing you to confess her feelings… Su Shuilian could only swallow the rest of the words when Lin Si Yao gave her meaningful glance. Ok, in fact, she didn’t want him to remember her either. “It’s ready–” After the loud voice sounded, the curtains were lifted and the waiter came in with a large serving tray full of food. With just seven dishes, the two people’s rectangular table was almost filled. “Esteemed guests, these are our restaurant’s signature dishes. This dish on the house for the birthday boy.” The waiter said as he placed the dish of Drunken Phoenix Claws (alcoholic chicken feet) on the table as he smiled and left the private room. Lin Si Yao raised his eyebrow as he thoughtfully looked at her. She seemed a little unusual today. But he quickly picked up the phoenix claw into his mouth. They seemed to put a lot of alcohol in this dish, wouldn’t she become drunk after two pieces? “How is the taste?” Su Shuilian watched Lin Si Yao as he slowly took a bite. Her eyes staring straight at him and curiously asked. She had never tried Phoenix Claws before. 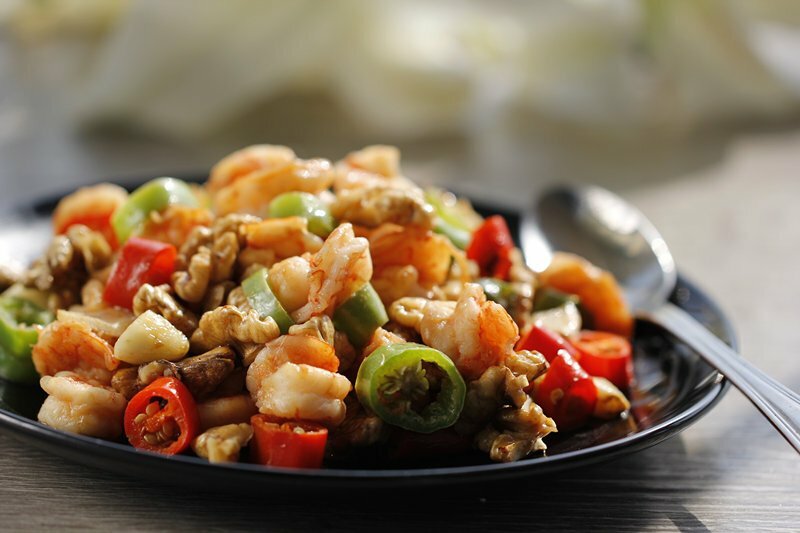 Even though it was a common dish even during her previous life during Republic of China in Suzhou, she never had a chance to try it. Or it could be said, as the eldest miss of a prestigious family, she could not sully her identity to eat “commoner’s food”. “Are you not going to eat?” Lin Si Yao looked up. His own bowl was already filled with all the best parts of every dish: Duck and Chicken drumsticks, the fish meat from the center of its body, and many shrimps. “You are the birthday boy today, haha…. Quickly eat, if there’s not enough, we can order more.” After Su Shuilian filled Lin Si Yao’s bowl to the brink, she carefully took a scoop of the squashed pea and corn jasper soup and drank it. “You should eat more too, you are too skinny.” When Lin Si Yao had realised her intention, he frowned and replied. Picking up a duck drumstick, he placed it into Su Shuilian’s bowl. 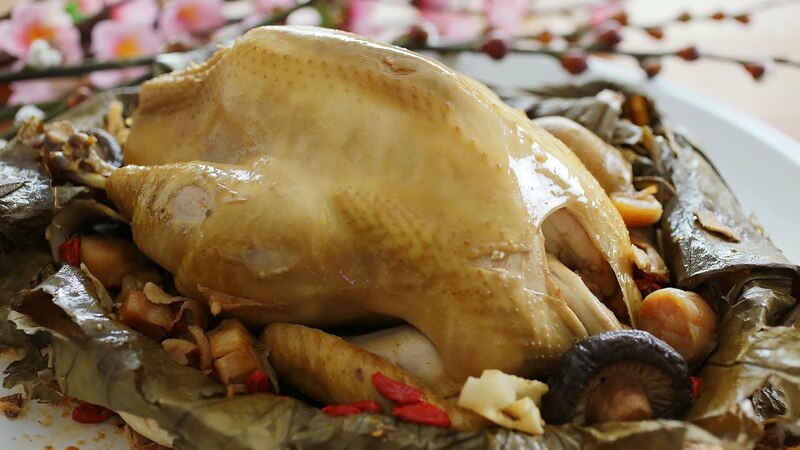 Thinking to Tian Dabao’s favorite food was any poultry drumstick, Su Shuilian could not help but laugh out loud. Lin Si Yao glanced at her. Did she think that he was a man who would fight for food against a twelve year old boy? He slightly shook his head. 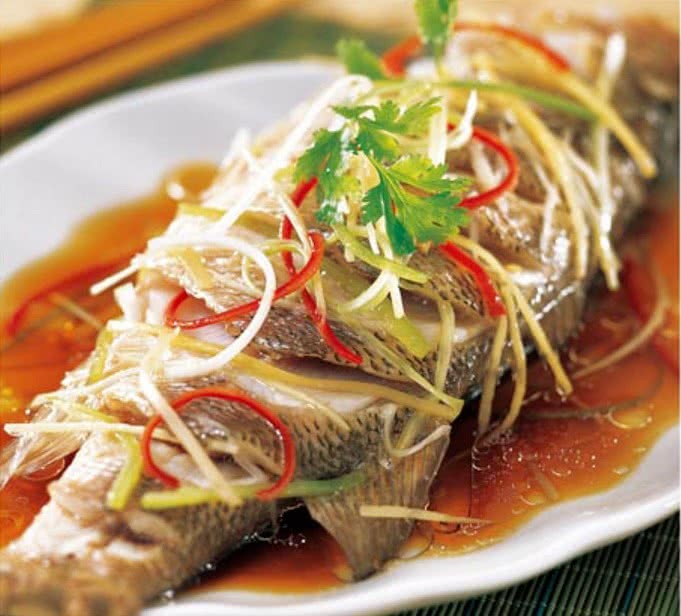 He then picked up a large piece of the steamed fish and picked out the bones before he placed it into Su Shuilian’s bowl. “Ok.” Su Shuilian gratefully glanced at him. Fish was one of her favorite dishes, but she always had trouble with the bones, so most of the time she could only give up and not eat it. so sweet ah ~~~ thanks for the chapter !’3′! Hope that Wan girl doesn’t disturb Shuilian’s and A-Yao’s date. Thanks for the chapter and gong xi fa cai! Lian’er won’t allow herself to get bullied by this white lotus/green tea biatch and holds A-Yao’s hand voluntarily. A-Yao, happy that Lian’er takes the initiative for PDA, will take advantage of Lian’er’s uncharacteristic boldness, pull Lian’er into a tight hug and give her the kiss of a lifetime, all the while ignoring the tantrum-throwing white lotus/green-tea biatch, who could only watch helplessly as the happy couple is now in their own world. Wan Girl… I highly recommend you not to disrupt our family’s Lin Si Yao’s date… More fluffy moments to look forward to… Thanks for the new chap! Also, thanks for the chapter! Incoming trouble from the other girl? Thanks for the chapter desu~ It’s really warm… Thou since the Lu girl was mentioned, I think she will mess the warming hearted lunch.